Tree Lighting Celebration / December 14 / 5:00-9:00pm / Our Annual Barrel Tree Lighting Celebration is just around the corner! Bring the kids and family to meet Santa and enjoy cookie decorating, a hot chocolate bar, Christmas Carolers, discounts on wine, gifts and so much more! Come experience the magic of Christmas in wine country at Callaway Winery! /R.S.V.P. to (951) 676-4001. Free Admission. Peltzer Ice Rink / Open daily now through January 6th / 3pm-9pm / Ice Rink Bar Open Friday through Sunday 4-8:40pm / The farm is freezing over, y’all! For the first time ever Peltzer Farms will be featuring a full on Ice Rink! Ice Rink will be closed if it’s raining, for safety reasons. Ice Rink may be closed on specific dates based on private events. Admission (includes a pair of skates) General Admission $15; Kids 5 and under (with paid general admission) $11; Crush Club (wine club) members get $2 off admission prices. Admission (if you bring your own skates) General Admission $13; Kids 5 and under (with paid general admission) $9. Harmonizing Hatha at the Grapeseed Spa / Every Mondays & Wednesdays / 9:00am – 10:00am This unique class enables you to find balance of body and mind. With gentle stretching, focused breathing and meditation, your instructor will take you on a journey through your personal chakras resulting in a mind and body that are more fluid and at ease / 4 people or more | $35 per person, 3 people or less | $65 per person / Spa Members | $16 per person / Reservation Information: Call 877.552.1731 to book your class. There’s a chill in the air now and suddenly we’re planning holiday meals! Whether your holiday plans keep you close to home or off visiting relatives, plan to sneak in a trip to Temecula Valley Wine Country to stock up on your favorite wine. Veterans Day Specials / November 9 to 11 / 10am-5pm / Special sales for active duty and retired military w/ valid ID / Classic Wine Tasting and 15% off in our tasting room / 15% off Pinnacle Restaurant on Nov 11th only. 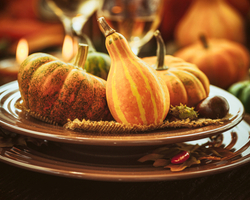 Thanksgiving Day Dinner / November 22 / 12:00 noon-5:00 pm / Adults $59.95 plus tax & gratuity. Children 12+ $19.95 plus tax & gratuity. Children 5 Under free / For reservations and menu options please call (951) 699-0099 for additional information. The long, exhausting days of harvest are in full swing and cooler days are signaling the start of fall here in Temecula Valley Wine Country. 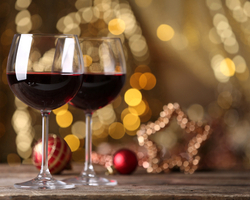 Our wineries are getting into the swing of the holiday season hosting a myriad of events. 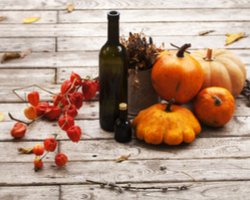 Pumpkin Succulent Soiree / October 13 / 2pm-4pm / $35.00 – $38.00 / Join us on this fall afternoon as we craft, sip, and relax while creating your own succulent topped pumpkin!! / For reservations please visit http://www.masiadelavinya.com and click on the link to event. Let There Be Brunch / October 14 / 10am-1pm / $34.00 – $38.00 / Fall into Brunch…move over coffee, today is a job for bubbles!! Featuring brunch by The Wood Fire Gourmet all while listening to Spanish instrumental guitarist Jesus Melicio / For reservations please visit http://www.masiadelavinya.com and click on the link to event. Wine, Dine & Paint / October 20 / 10:00am – 1:00pm / Cost: $75 | $70 Wine Club Work one-on-one with Jill Roberts, internationally-known, award-winning artist, at one of our all-inclusive Wine, Dine & Paint classes, complete with a three-hour guided Art+Vino painting class, painting supplies, aprons and canvas, Winemakers lunch at The Vineyard Rose Restaurant with a glass of wine / Reservation Information: Purchase tickets through our Online Store at SouthCoastWinery.com or call your Wine Club Concierge at 951.491.8506. Friday Live Music / B. I. G. Soul R & B, Jazz / October 12 / 6:00p-9:00p / $10 Cover Fee / Reservations required for a Table. Call (951) 699-0099 *Must order dinner to reserve a table. *Seats available for General Admission on first come basis. Friday Live Music / Twisted Gypsy / October 26 / 6:00p-9:00p / $10 Cover Fee / Reservations required for a Table. Call (951) 699-0099 *Must order dinner to reserve a table. Refugio Vertical Pairing Dinner / October 26 / 7:00 pm – 10:00 pm / $95 per person, $76 for wine club members / A Cabernet lover’s delight. This dinner will showcase 4 vintages, 2013, 2014, 2015, and 2016, of our Refugio Cabernet Sauvignon. Each vintage will be paired with a delicious dish prepared by Chef Volker / Tickets available on site, online www.wienscellars/reservation-events, or by phone 951-694-9892. Tickets must be purchased in at least 3 days in advance. California Wine Month ~ Temecula Style! This September marks the 14th consecutive year that California’s governor has proclaimed California Wine Month; in honor of our state’s contribution as the leading wine industry in the United States. September is the perfect time to visit Temecula Valley Wine Country. Besides the fact that it is our favorite month, we’ve got several events and promotions up our sleeves and we want you to celebrate with us! When: Valid Monday through Friday the entire month of September (excluding the Labor Day holiday). What: Passport for a full tasting flight at any five participating Temecula Valley wineries; includes souvenir wine glass. Passport includes discounts on wine purchases, wine club memberships and dining. Tickets: $45 per person. For more information and tickets, click here. Although we never need a reason to raise a glass in celebration, we’ll be doing just that at our 9th annual CRUSH event. 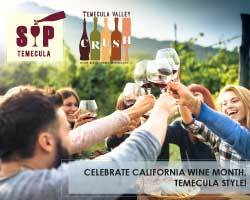 CRUSH is Temecula Valley Wine Country’s signature event and is The ONE and ONLY event showcasing the wines of 30+ member wineries in one location! Winery and local restaurants will also be on hand to pair small bites with the wine. Mix and mingle with winery owners and winemakers at this most anticipated walk-about tasting! 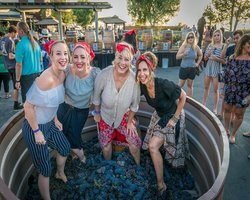 Posted in Events | Comments Off on California Wine Month ~ Temecula Style! Spring has sprung and our local wineries are throwing plenty of fun April events to celebrate! So stop by your favorite winery to taste some great newly released wine, listen to music, learn a new craft and socialize with your fellow wine enthusiasts. Estate Library Tasting / Every Thursday-Sunday / Available 11am-4pm / Enjoy exclusive library tasting of 5 different vintages (varietal will vary monthly). Tasting will take place at Baily Estate Tasting Room located on Pauba Road / Tours are available upon request / For reservations and pricing information please call Lisa at 951-972-9768. Dog Easter Egg Hunt / April 1 / 1:00pm / 4th Annual event at Carol’s Restaurant; all dogs must be on leashes. Plastic eggs are filled with turkey hot dogs. Owners are responsible to make sure dogs do not eat plastic eggs. Carol’s Restaurant is open for lunch from 11:30am to 3:00pm with regular menu plus Easter Specials! Live music on the patio / Reservations strongly suggested / Call today 951.676.9243. B.I.G. Soul, R&B, Jazz Music / April 6 / 6:00pm – 9:00pm / $10.00 Gen. Admission / Order tickets on our web site, www.thorntonwine.com or stop by the winery prior to concert and purchase in our Gift Shop or at Café Champagne / Reservations are required for a Table / Please call (951) 699-0099 * Must order dinner to reserve a table! The Killer Dueling Pianos / April 27 / 7:30pm – 10:00pm / $10.00 Gen. Admission / Enjoy our Friday Night Live Music / Reservation and ticket sales at www.thorntonwine.com or stop by the winery prior to concert and purchase in our Gift Shop or at Café Champagne / Reservations are required for a Table / Please call (951) 699-0099 * Must order dinner to reserve a table! Easter Brunch / Sunday. April 1st / 10am-3pm / Brunch only: $55.95 / $50.95 (Wine Club). With Bubbly: $65.95 / $59.95 (Wine Club). Kids: $16.95 / $15.29 (Wine Club) / Our Bubble Brunch on Easter is always hoppin’! Hurry and make your reservation for a lovely brunch with your family, amazing food stations, sparkling wine, bloody mary’s, the Easter bunny, and a petting zoo! / Reservations can be made at www.wilsoncreekwinery.com or call 951.699.9463 for additional information. Bubble Brunch Buffet / Every Sunday / $51.95, Buffet only: $41.95, Children: $16.95 / Enjoy all your breakfast favorites, omelet stations, waffle stations, seafood stations, carving stations and dessert stations with beautiful vineyard views / Buffet (+ unlimited sparkling). Now serving Bloody Mary’s! / Reservations can be made at www.wilsoncreekwinery.com or call 951.699.9463 for additional information. Love is always in the air in Temecula Valley! This month, your local wineries have especially amorous offerings set against the backdrop of the most beautiful vineyards in Southern California. Valentine’s Day Sweetheart Dinner / February 14 / 6:00 to 9:00 pm / Guests are greeted with a glass of champagne and an amuse bouche. Dinner includes 4 courses of savory dishes paired with our award- winning wine. Check-in beginning at 5:30 pm / Reservations Required – Please call 951-428-2358 or email Elizabeth@belvinowinery.com for reservations / $99.95 per person for Wine Club Members / $124.95 per person for non-members – Prices include tax & gratuity. Friday Nite Live at Bel Vino / Every Friday 6p-10p / No Cover / Wine & Beer / Bel Vino Bistro open until 9 pm/ No outside food or drinks allowed. Live Music at the Courtyard Patio / Every Saturday from 1pm to 5pm / Please check our website for a list of scheduled performers. 11th Annual Super Chili Bowl / February 4 / 3:00-8:00pm / All of you aspiring and talented cooks start working on your awesome chili! Chili competition kicks off at 3pm. Only 10 competitors allowed and last year’s winner, Myrna, will be defending her title! Is your chili better than hers? Join us for food, wine, beer & good times. Pricing includes chili tasting, snacks, wine or beer. Price increases $5 day of event. / Competitors $15, Wine Club $25, Non-Wine Club $30 / No need to arrive early the day of, you can pick out your reserved table for every 4-6 tickets you purchase / This is an adult event, 21 and older only please. Email events@cougarvineyards.com to select your table. Please inquire regarding official rules for competitors. Sunday Live Music / 2:00-5:00pm / Free to the public / For a list of scheduled performers please visit www.cougarwinery.com. 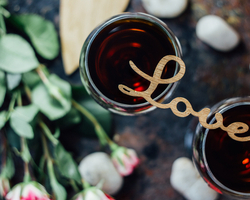 Valentine’s Dinner / February 14 / 6:30pm / $115.00 – $125.00 / Create a truly memorable Valentine’s Day experience with Danza del Sol Winery! The evening begins with a sparkling wine reception in our Barrel Room and is followed by a tantalizing 3-course dinner in our Club House. Chef Volker Lutz expertly prepared the menu and each course is paired with a spectacular Danza del Sol Wine. Live jazz music from Stephen Vaughan / For reservations please visit our website at www.danzadelsolwinery.com. One king table for seating; private seating not available. Live Music on the Patio at Danza del Sol / Every Saturday and Sunday beginning at 1:00pm / Enjoy great wine and great music! / Please check our website www.danzadelsolwinery.com for additional information. Valentine Lunch Specials / February 9 to 14 / 11:30-3pm / Valentine Lunch Special for 2 in the Pinnacle Restaurant / $59 for Two + tax (normal menu available) / For full menu please visit www.falknerwinery.com / Reservations required 951-676-8231 option 4. Live Music at our Tasting Room / Every Saturday and Sunday from 1pm – 5pm / Enjoy great wine and great music! / Check our website www.fazelicellars.com/events for a schedule of performers. Valentine’s in the Vines / February 14 7:00pm / Four course dinner with wine pairings and live music / Cost$75 / $67.50 WW / Vow renewal will be available for married couples! Visit www.lorimarwinery.com for menu details and to get tickets. Académie Du Vin: Wine + Cheese / February 22 / 6:00pm / Wine and cheese pairing class with Sommelier Penny Delgado and Cheesemonger Stasha New. Learn about red wine varietals and fermentation in this exclusive session / Tickets are $55/$50 WC / Visit www.lorimarwinery.com for menu details and to get tickets. Please check our website www.lorimarwinery.com for a list of scheduled of performers. Valentine Dinner / February 9 / 5:30-8:30pm / Champagne Reception and 3-course dinner with wine / Live Guitarist played by Vince Mendoza while fine dining in our Vintner’s Lounge / Wine club member – $100.00 per person* Guest – $110.00 per person* *Tax & Gratuity not included / Reservations required, email e.jennings@masiadelavinya.com or with your server in our tasting room. Space is limited, reserve early to ensure your spot! Friday Nights @ Masia / 5pm to 8pm / Free to attend / Join us in the Vintner’s Lounge & Patio for live music from a variety of talented musicians every Friday starting at 5pm. Live Music on the Patio at Masia de la Vinya / Every Saturday from 12pm – 4pm / Enjoy great wine and great music! / Please check our website www.masiadelavinya.com for additional information and a list of scheduled performers. Valentine’s Day Dinner at The Restaurant at Ponte / February 14 / 5:00-8:00pm / Cost: $8 & up Join us at The Restaurant at Ponte for a romantic, al fresco Valentine’s Day Dinner. Enjoy live music on our scenic patio as you and your Valentine dine from an extensive menu of winter cuisine. View menu here. Super Bowl Sunday in The Cellar Lounge / February 4 / Game time 3:30pm / Cost: Menu Items $13 & up / Head to The Cellar Lounge to catch the big game on the big screen! Enjoy a delicious Gameday Menu, as well as draft brews, signature cocktails and Ponte wine on tap. View menu here. sounds of a variety of musicians, from jazz sax and alternative contemporary to rock blues! / Time and Entertainment schedule varies / Free to attend / Visit www.pontevineyardinn.com for an entertainment schedule. Wild Horse Peak Reserved Tastings / 10:00am – 6:00pm / Reap the benefits of wine tasting at South Coast Winery with our new bar set up with exclusive Wild Horse Peak wine tastings for our guests to try / Included with tasting ticket purchase / Reservation Information: No reservations required. Winter Warmup at GrapeSeed Spa / Available February 1-28, 2018 / *Available Monday-Friday only / Start the New Year with a 50-minute Warm Stone Massage or 50-minute Epicuren Facial. Includes lunch & a glass of bubbly poolside / Cost: $115 / Reservation Information: Call to book today! 877.552.1731. Cannot be combined with other offers or discounts. Golden Bear Wine Tour / Saturday and Sunday / 11am-12:30pm, 2pm-3:30pm / This Tour will highlight why South Coast Winery has been awarded California Winery of the Year for the 4th year. You will be able to experience 8 of our award-winning wines paired with Chef Choice individual plates of California cuisine. You will also receive a logo wine glass to take home to remember your experience with us while you enhance your wine knowledge. Golden Bear Tours are offered Saturday and Sunday at 11 am and 2pm. Space is limited, and advance reservations are required. Must be over 21 years of age to attend. This is a 75-minute walking tour followed a 45-minute food and wine pairing / Cost: $60 per person, $55 Wine Club / Call 866-994-6379 Ext. 7217 to reserve your spot today. Due to the limited sizes of each tour, advance reservations are required with prepayment and are non-refundable. Must be over 21 years of age to attend. Behind the Scenes Wine Tours / Tours are held daily at 11 AM, 1 PM and 3PM, Monday through Sunday/ $40pp; $35pp Wine Club Member / Learn more about our spectacular Southern California Temecula winery with a behind-the-scenes wine tour, from vineyards to crush pad. Each tour concludes with 5 wines paired with an individual plate of specially prepared lite-bite foods, designed to enhance your wine knowledge and experience / Reservation Information: Call 866-994-6379 Ext. 7217 to reserve your spot today / Due to the limited sizes of each tour, advance reservations are required with prepayment, and are non-refundable. Guests must be over 21 years of age to attend. Friday Night Live Music / Every Friday night / 6pm-9pm / Free admission / Please visit our website for a schedule of performers at thorntonwine.com or call 951.699.0099. Reservations are a must for dinner table. Bubble Brunch Buffet / Every Sunday / Enjoy all your breakfast favorites, omelet stations, waffle stations, seafood stations, carving stations and dessert stations with beautiful vineyard views / Buffet (+ unlimited sparkling): $51.95, Buffet only: $41.95, Children: $16.95 / Reservations can be made at www.wilsoncreekwinery.com. Live Entertainment / Every Saturday and Sunday / 12pm – 4pm / Free to the public / For a list of scheduled performers, please visit www.wilsoncreekwinery.com. This December, eat, drink and be merry in Temecula Valley! Who can resist a visit to wine country for the holidays? Come enjoy Christmas extravaganzas, exclusive New Year’s Eve parties, sleigh rides through the vineyards, thousands of holiday lights on display – and many more affordable festivities! Live Music on the Tasting Room patio Saturday & Sunday from 1p-4p / Enjoy live music at the Tasting Room patio with views over the vineyards. Mangia gourmet cheeses are available for purchase to complement Avensole wines in the Tasting Room/ All free and open to the public. Open seating at the Tasting Room patio. Estate Library Tasting / Every Thursday-Sunday / Available 11am-4pm / Enjoy exclusive library tasting of 5 different vintages (varietal will vary monthly). Tasting will take place at Baily Estate Tasting Room located on Pauba Road / Tours are available upon request / For reservations and pricing information please call Lisa at 951-972-9768. *Closed November 24 thru 26th. Barrel Tree Lighting Celebration / December 14 / 5:30 to 8:00pm / Free / Join for our annual Wine Barrel Tree Lighting Celebration! Bring the kids to meet Santa and enjoy cookie decorating, a hot chocolate bar, Christmas carolers, discounts on wine, gifts and more. Experience Christmas in wine country with us. Live Music at Chapin / Every Friday and Saturday from 2pm to 5pm / Please check our Facebook page for a list of scheduled performers. Free to the public. Live Music on the Patio at Danza del Sol / Every Saturday from 1pm – 5pm / Enjoy great wine and great music! / Please check our website www.danzadelsolwinery.com for additional information. Big Truth Band at Falkner Winery / December 15 / 7:00-11:00pm / Public event; Friday night in the Pinnacle Restaurant. Enjoy FREE live music! Food, Wine, Beer, Dancing / Adults only 21+ and over / RSVP on our Facebook events page. Sip N Shop & SANTA Family Event / December 16 / 12:00-7:00pm / Free to attend / Photos with SANTA (4-7pm), Caroling, Photo booth, Food, Wine, Hot Chocolate available from 4-7pm. 20 + Vendors! Holiday items, handmade goodies, Scentsy, Jewelry, Lipsense and more!! Please check out our Facebook events page for more information. Tamale Making Classes at Foot Path Winery / December 9 and December 16 / 10:00 am / For those of you who wish to know the art of the Tamale come join us in one of the instructions classes held at Foot Path Winery. Two classes will be held, December 9th for Chicken Tamales (Green)and December 16th for Pork Tamales (Red). Learn masa, sauce, meat and corn husk preparation. And most of all, where to purchase your ingredients for the tamales. Recipes and instruction information will be handed out at each class based on subject matter. Lunch will be provided as well as drinks. In addition, there will be sampling of either green or red tamales / Class cost is $30 any you will take home a dozen tamales prepared that day! Class size is limited to 20 people; based on the quantity of people we will either have teams of 4 or 5. Call – 951-764-1849 Chris or Email – deanefoote@verizon.net to reserve a spot / You can secure your spot, on the line, by sending in the class fee by December 2, 2017. Call and reserve your spot on the assembly line…dancing is not required. Ticket Option #1 @ 7:00pm / $120 / $100 Member includes champagne greeting, 3-course meal and wine pairing with live entertainment, plus DJ & dancing, late night mash-tini bar and midnight champagne. Ticket Option #2 @ 9:30pm / $55 / $45 Member includes champagne greeting, DJ & dancing, late night mash-tini bar and midnight champagne. Holiday Sip & Shop / December 2 / 11am – 5pm tasting open – Shopping from 12pm-4pm / Free admission / Sip on your favorite Masia wine while shopping on the patio. 10 local vendors, food truck and live music. Friday Nights @ Masia / December 1 through January 5, 2018 / 4pm to 7pm / Free to attend / Join us in the Vintner’s Lounge & Patio for Friday Nights! Live Music on the Patio at Masia de la Vinya / Every Saturday from 12pm – 5pm / Enjoy great wine and great music! / Please check our website www.masiadelavinya.com for additional information and a list of scheduled performers. Arts & Craft Fair / Every Friday, Saturday, and Sunday from 11a-5p / Maurice Car’rie Winery offers a charming arts and crafts fair every Friday – Sunday from 11:00 AM to 5 PM. Located on the front picnic grounds at the beautiful Maurice Car’rie Winery are craft vendors with wares that are handmade such as jewelry, paintings, and ceramics along with fun items like great handbags and designer-style sunglasses. Last Chance Shopping Night at Ponte Winery / December 20 / 10am-8pm / Join us after-hours to stock up on wine for your seasonal festivities, and to shop for last minute holiday gifts. Enjoy live music beginning at 5:00 p.m. / Free to attend / Wine Club Members receive 25% off wine and merchandise, and 30% or more off case purchases. New Year’s Eve Dinner in The Reserve Room / December 31 / 6:00pm-9:00pm / Make plans to join us this holiday season as The Restaurant at Ponte hosts a New Year’s Eve Dinner to remember! Dine from a festive special menu in our intimate Reserve Room at Ponte Winery. Seating is limited; please call 951.252.1770 or email restaurant@pontewinery.com for reservations. Live Music in The Cellar Lounge at Ponte Vineyard Inn / Every Wednesday, Friday and Sunday / Head to Temecula Wine Country’s only cocktail bar open late every day, The Cellar Lounge at Ponte Vineyard Inn. The Cellar offers live music every Wednesday, Friday and Saturday night! Sip to the sounds of a variety of musicians, from jazz sax and alternative contemporary to rock blues! / Time and Entertainment schedule varies / Free to attend / Visit www.pontevineyardinn.com for an entertainment schedule. Midnight Toast in The Cellar Lounge / December 31 / 12:00pm-12:30am / Ring in the New Year in The Cellar Lounge… Join us for a festive evening and a midnight toast! Enjoy small bites, craft brews, signature cocktails and wine on tap. Cheers to 2018! / Cost: Menu Items $6 & Up. Tree Lighting & Snow Festival / December 3 / 5:00pm-8:00pm / Free Admission* / Bring your holiday cheer and don’t forget your snow gear! Join us South Coast Winery’s Annual Tree Lighting & Snow Festival. This fun for the whole family event will include a real snow play area, face painting, sleigh rides, Santa, food, live entertainment and more! South Coast Winery is proud to be an official Toys for Tots drop-off location. Guests are encouraged to bring a new, unwrapped toy to donate at the festival / *Tickets will be available to purchase inside the festival for food/beverage/events. Start the Day at GrapeSeed Spa / Monday-Friday, December 1st – December 23rd / Start your day at South Coast Winery with this special spa package! This package comes complete with: 50-minute aromatic Swedish massage or gorgeous GrapeSeed Facial, mimosa, pastry or fruit & yogurt parfait / Cost: $115 / Reservation Information: Call to book today! 877.552.1731. Valid Monday-Thursday, December 1st – December 23rd, 2017 before 1:00pm. Cannot be combined with other offers or discounts. Neroli Escape at GrapeSeed Spa / December 1, 2017 – January 31, 2018* / Escape to the lush vineyards at The Grapeseed Spa and enjoy a glass of award winning wine, appetizer, and a 50-minute South Coast Classic Pedicure or manicure to revive your spirit / Cost: $55 / Reservation Information: Call to book today! 877.552.1731 / *Not available on Wednesdays and Thursdays. Blackout Dates: 12/25. Cannot be combined with other offers or discounts. Bubble Brunch Buffet / Every Sunday / Enjoy all your breakfast favorites, omelet stations, waffle stations, seafood stations, carving stations and dessert stations with beautiful vineyard views / Buffet (+ unlimited sparkling): $46.95, Buffet only: $36.95, Children: $14.95 / Reservations can be made at www.wilsoncreekwinery.com. Doffo Winery Takes Top Prize! Visit Temecula Valley (VTV), in coordination with Temecula Valley Winegrowers Association (TVWA), recently announced the winners of the second annual People’s Choice Blind Tasting. The event took place on Sunday, November 12, 2017, at Leoness Cellars, and featured a walk-around blind tasting, a wine seminar led by Master of Wine Roger Bohmrich and a 6-course awards dinner paired with last year’s winning wines. Doffo Winery’s 2015 Zinfandel took first place in the competition, after taking second place to Wilson Creek’s Petite Sirah at last year’s inaugural event. The 2017 second place winner was Lorimar Winery’s 2014 Syrah, and third place was taken by Thornton Winery’s 2014 Estate Syrah. Over 200 guests tasted 29 wines (6 whites and 23 reds) without knowing any of the wines’ identities, and rated them on a scale of 1-5 during a walk-around wine tasting. The top 12-scoring wines from this portion of the event went on to be poured during a wine seminar led by Master of Wine Roger Bohmrich, where they were again tasted blind and rated on a scale of 1-5, including by Roger himself. Final scores were tallied to determine the top 3 “People’s Choice” wines. Wines could be any variety or a blend, at any price point, as long as they were from the Temecula Valley American Viticultural Area (AVA). 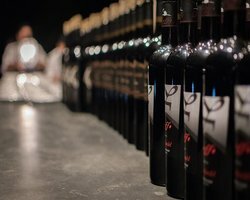 Entries ranged from just $24 per bottle to well over $100, and represented a number of grape varieties, from Falanghina to Syrah to Cabernet Franc. In addition to the walk-around tasting and seminar, the event featured a six-course dinner created by Chef Daragh Matheson from Leoness Cellars, paired with last year’s People’s Choice winners. A VIP reception offered hand-selected pours presented by local winemakers and winery owners. San Diego singer-songwriter Christian Taylor performed throughout the tasting. The evening’s dinner program was emceed by Lindsay Pomeroy, Master of Wine Candidate and owner of the “Wine Smarties” school in San Diego, and a brief keynote was delivered by Bohmrich. Local musician Brian Stodart performed throughout the dinner program. Sponsors included Gosch Ford, 34° Crisps, Palpula Dips & Sauces, Temecula Lavender Co., Old Town Spice & Tea Merchants, Aall In Limo & Party Bus, Grapeline Wine Tours and American AgCredit. Carter Estate Winery & Resort was the official hotel partner for the event. Most wines can be purchased directly online through each winery’s website. The entire list of wines entered into the competition can be accessed HERE. Posted in Association News, Winery News | Comments Off on Doffo Winery Takes Top Prize! What is Temecula Valley’s best wine? You Decide! On Sunday, November 12, join fellow wine enthusiasts and Temecula Valley Southern California Wine Country movers and shakers at the second annual People’s Choice Blind Tasting and Awards! Let your palate guide you through dozens of Temecula Valley’s best wines. Rate them and help crown the region’s favorites at a 5-course wine dinner and celebration. Never been to a blind tasting? Rest assured you won’t be blindfolded. You will simply not know which wines you are tasting until they are revealed after the event, allowing for total objectivity in your tasting. Estate Pass – $40: Entrance to the walk-around blind tasting from 11 AM – 1 PM of Temecula Valley’s best wines. Rate them all and help determine the region’s favorites. Enjoy light appetizers while you sip & mingle. Reserve Pass – $175: Entrance to the walk-around blind tasting (11 AM – 1 PM) + seat at the People’s Choice awards dinner (6:30 PM – 9:30 PM), including 5-course tasting menu and wine pairings. Grand Reserve Pass – $225: The ultimate wine-lovers package! From 3:30 – 5:30, enjoy a Temecula Valley wine seminar and seated/guided blind tasting led by Master of Wine Roger Bohmrich. Then head straight into an intimate winemaker reception including open wine bar and gourmet passed hors d’oeuvres from 5:30 – 6:30 PM. The reception will be followed by the People’s Choice awards dinner, including 5-course tasting menu and wine pairings from 6:30 – 9:30 PM, where the winning wines will be announced. Grand Reserve Pass holders will also receive a VIP gift bag and are welcome to attend the walk-around tasting (11 AM – 1 PM).